When I decided to make soaked pancakes, I wanted to find a sweet sauce recipe to replace maple syrup, since Rene wasn’t able to have maple syrup at the time. Thanks to my awesome Vitamix machine and an awesome Vitamix recipe book, I learned how to make this simple and very yummy (and even nutritious!) 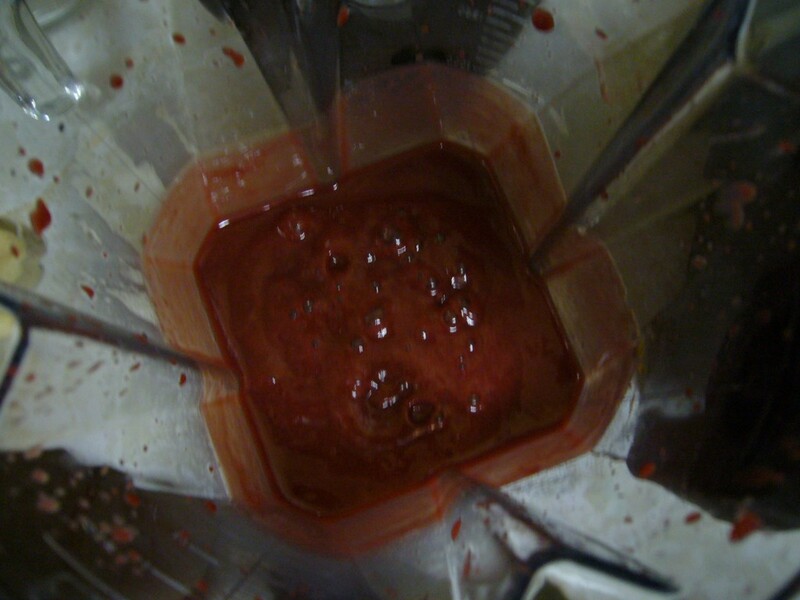 fresh berry sauce. It’s super easy to make and pairs awesomely with desserts and soaked pancakes! 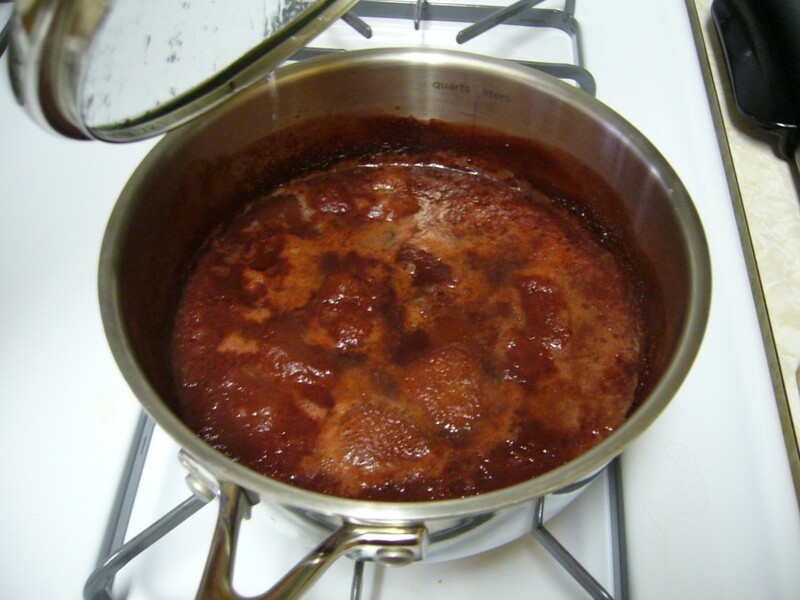 After making this sauce, I don’t know if we’ll ever want to have anything but this sauce with our pancakes in the future, yum! 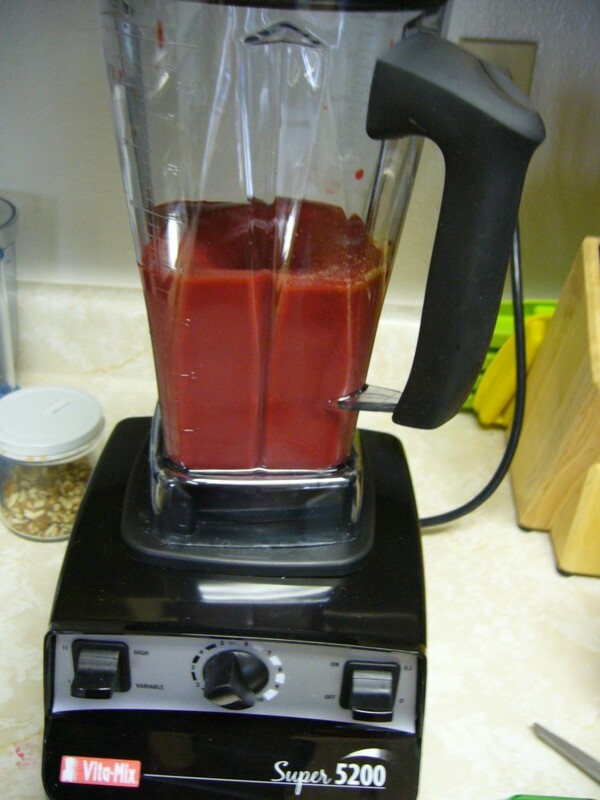 You can use any berries for this sauce, I grabbed a bag of frozen mixed berries from my freezer and threw them into my Vitamix. 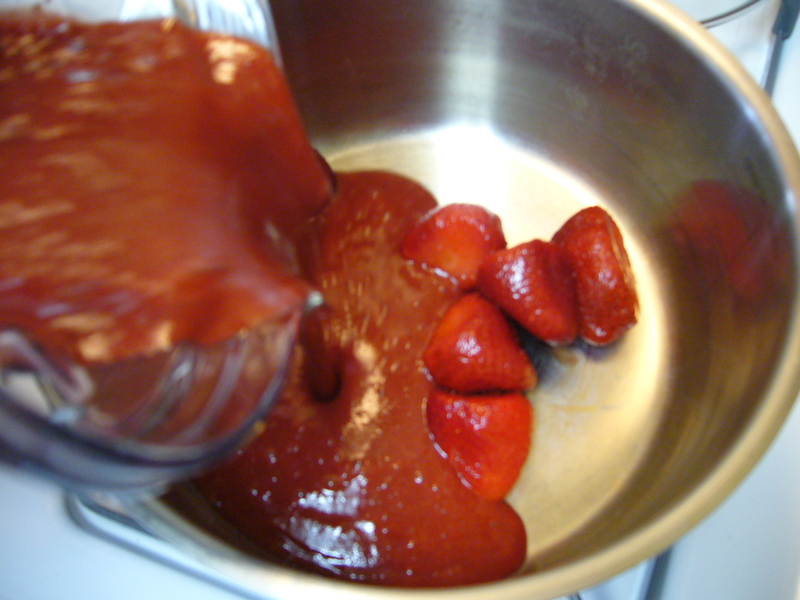 I also set aside a few frozen strawberries for the simmering stage of this recipe. Next, I added in some sucanat. 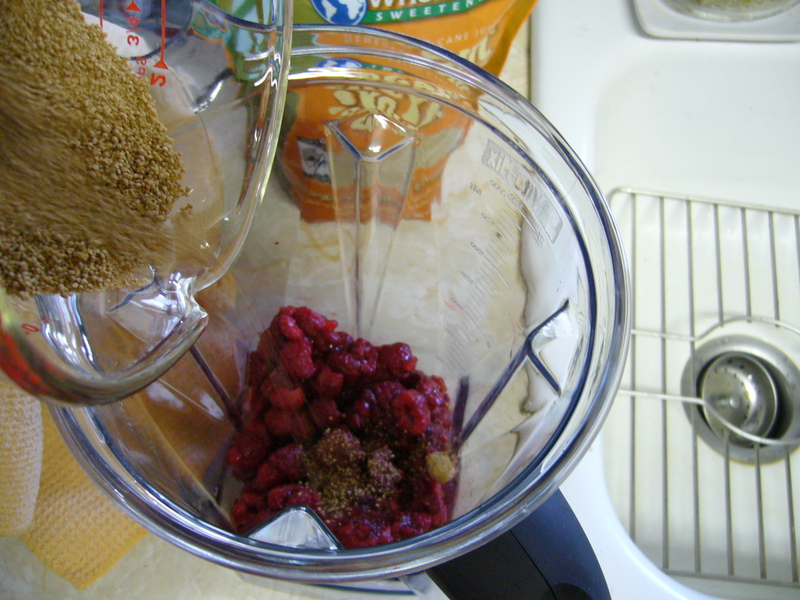 To keep this a real food recipe, I replaced white/brown sugar with this much more nutrient dense sugar. White/brown sugars are very heavily processed and so they lack a lot of the nutrition that existed in the sugar cane. However, sucanat is simply dehydrated cane sugar and retains most of the natural nutrients found in sugar cane. 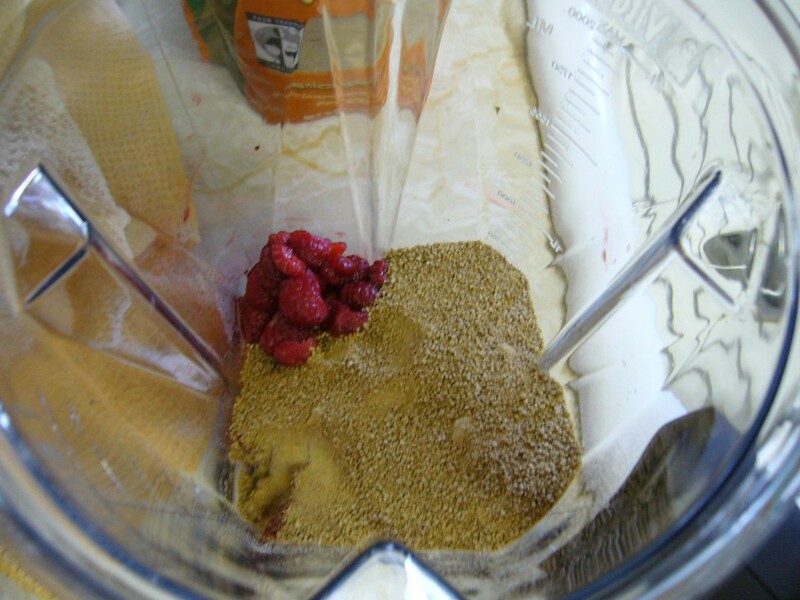 Now, it’s all ready to be blended down into a liquid! Mmm, it looks yummy already! All ready for the stove! 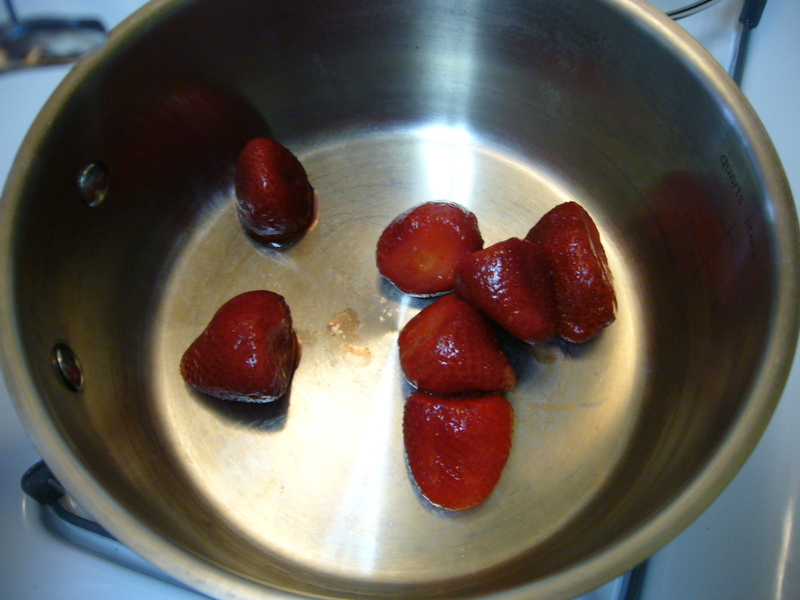 Next, I grabbed a few frozen strawberries that I had previously set aside and threw it into a pot. 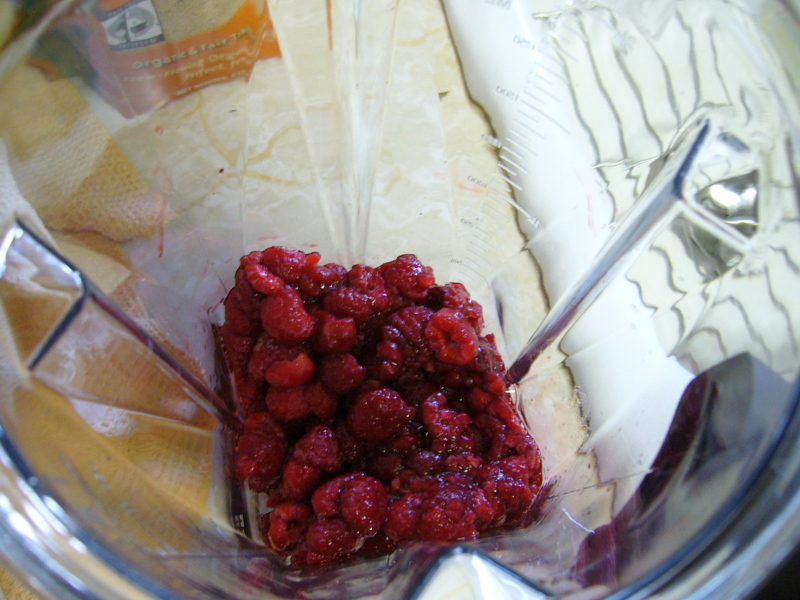 And in went the liquefied berries and sucanat. I turned on the stove to low and let it simmer in the background as I tended to my soaked pancakes, or whatever else I might be making at the same time. And after 20-40 minutes of simmering, the sauce was done, yum! And voila! 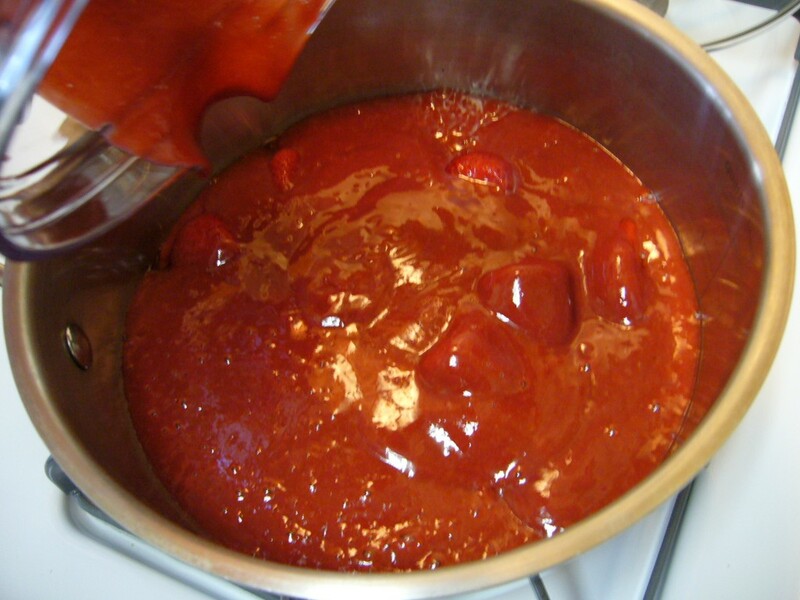 A delicious & nutritious sauce perfect for desserts & pancakes! It looks a bit dark here in my picture, but it tasted amazing! And what a relief to know that there’s no additives or crazy bad corn syrup in this berry syrup! What’s your favorite waffle or pancake topping? Do you make it yourself or buy it from the store? If you have a winning recipe, please share! You so silly! You should know because you ate this!